The SawCover System contains a durable hardware saw that is fully sealed by the SawCover linen. This creates a 100% sterile, battery powered, liquid and pathogen proof oscillating saw at an affordable price. The saw is fitted with an ergonomic pistol-grip handle and trigger mechanism with handling matching that of surgical orthopaedic saws. The SawCover System is a great saw for clinics just starting out in orthopedics or clinics transitioning away from manual tools. 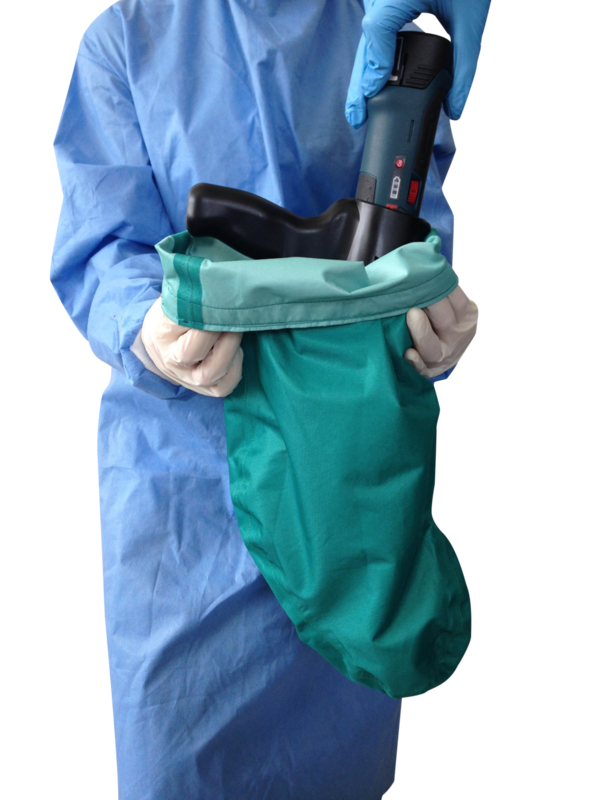 It is ideal for the traveling veterinarians or clinics looking to lower their costs with a robust piece of equipment. The SawCover System The SawCover System is the oscillating saw for you, at an affordable price point, that makes your osteotomies much faster and more accurate compared to using an osteotome. Due to its ergonomically-designed handle, it is easy to use and gives you complete control when sawing.